You know how when you're shopping online and, after visiting multiple websites, it is sometimes hard to differentiate between them in your mind? After all, they all sell the same cute, monogrammed tote bags or the standard iPod speakers or whatever. I can barely remember the names of most sites unless I have them written down or happen to have their link still open. Yeah. That will never, never ever happen when it comes to ThinkGeek. It's extremely easy for me to list my main criticism of ThinkGeek, that being the inordinate amount of time that I've spent browsing. Oh, that one's cool and Man, I need that one! somehow manage to add up to hours (literally) that I've been there, going over the products, laughing at the hilarious descriptions and in general falling a little more in love with this site. I love ThinkGeek, I really do. 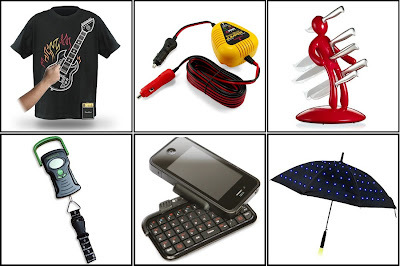 Did you see that Electronic Rock Guitar Shirt? You can really play it! Or the Closed-Hood Car Jump Starter? All those times that I stood out in the cold and tried to remember if it was positive to positive could have been much more enjoyable inside safe and warm with that one. And The Ex - Unique Knife Holder? I mean, c'mon! That's classic! 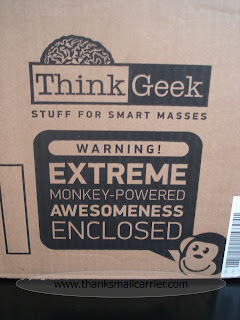 The day a box from ThinkGeek arrived on my doorstep, I barely had it inside before tearing into it... although I did manage to pause long enough to take a picture of the message on the side, as it really did sum up their company as a whole. 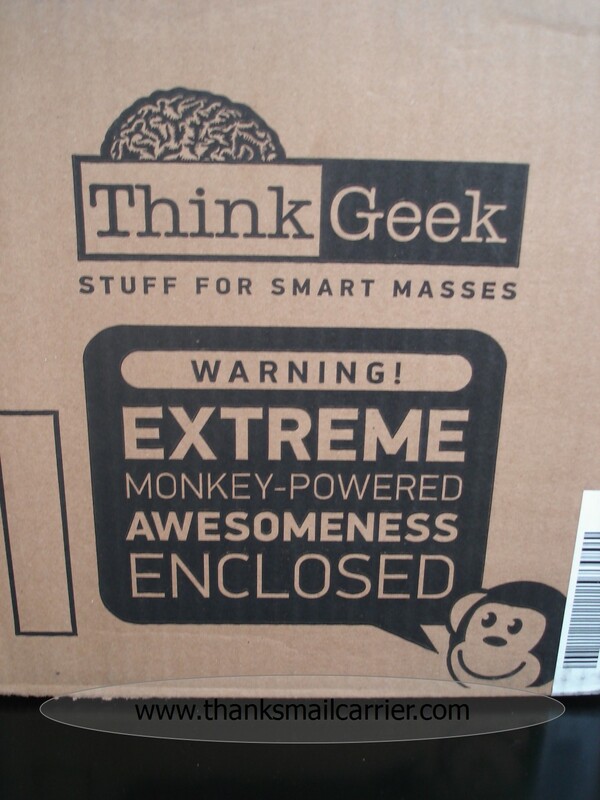 They were right, there really was extreme monkey-powered awesomeness enclosed in there. I'm not sure the last time I've been so excited to try out some unique gadgets and innovative doodads. First out of the box were the two items I had chosen with the kids in mind because I knew how much they would get a kick out of them (and any adult would be pretty amazed as well): the LED Faucet Lights and the DIY Drinking Strawz. 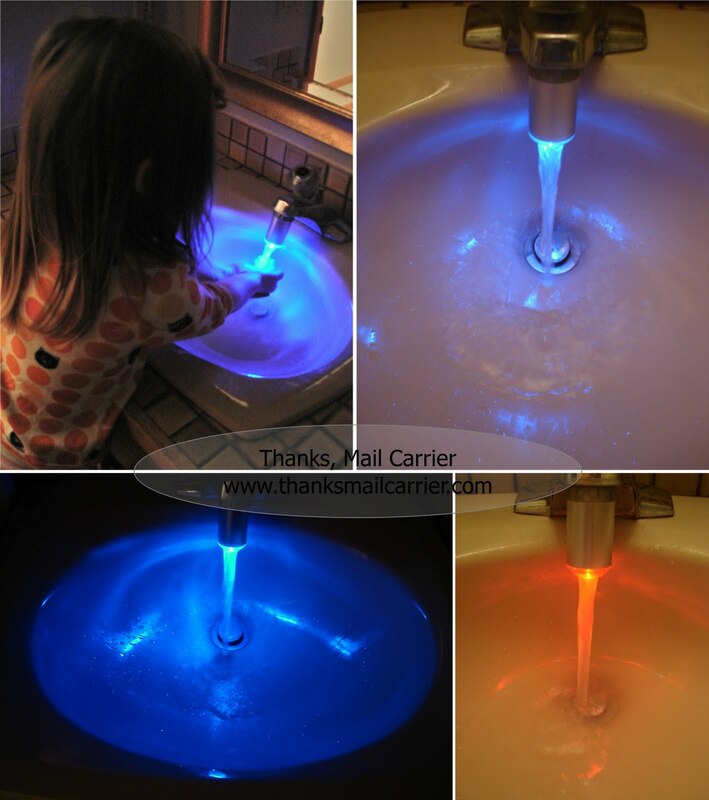 When I saw the pictures of the LED Faucet Lights, I was sold. And then when it came and I got to experience it for myself, I'm pretty sure we'll never go back to plain old clear water again. In a total of about 25 seconds, I used one of the provided universal adapters and had this magic contraption screwed onto our bathroom faucet. The amount of time since then that I have spent turning on and off the water is a little silly, but it's hard to stop when suddenly the sink looks this cool. Big Sister E's face absolutely lit up when I showed her the new addition and I doubt we'll have any more issues asking her if she washed her hands or not. Plus, as the LED stays blue while the water is cold and turns to red when the temperature hits 89°, the possibility of her putting her hands into too hot water has disappeared. Considering this comes with batteries pre-installed (and an extra set) and retails for only $19.99, I may just have to get them for more of our sinks... and then get the LED Shower Light as well. Who doesn't want their shower to glow? 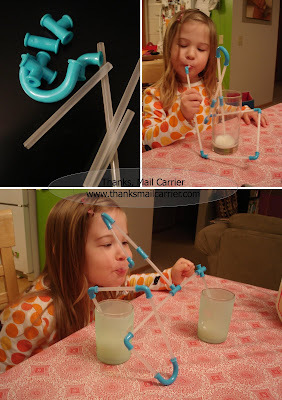 After we were done washing our hands, I brought Big Sister E over to the table and it was time for constructing fun with the DIY Drinking Strawz. Consisting of 44 dishwasher safe components, simply attach the connectors to the straws in any design you choose and you're ready for an entertaining drink. The possibilities are endless and combining multiple glasses or adding a straw for a second person are really only the beginning of how much fun these unique straws can be. I have a feeling we'll be drinking out of these for years to come! Next out of the ThinkGeek box was my husband's choice: the Duct Tape Wallet by Ducti (yes, he's a dork). Made from Super Duct Tape, this isn't like the wallets that kids have tried making for themselves that end up sticky and peeling. In fact, even though this wallet is constructed out of tape, it feels soft and almost fabric-like and comes with its own patch just in case something ever happens to it. Who knew duct tape could end up looking so fashionable? Finally ready for the toys I picked out for myself, I couldn't wait to try the Boogie Board LCD Tablet and the Powermonkey Portable Charger to see if they were just as cool as the others. Did I mention that I love ThinkGeek? I think I did. Described as "This ain't yo momma's Etch-A-Sketch, son," the Boogie Board LCD Tablet is the perfect paperless writing tablet for someone like me who needs to constantly jot things down. 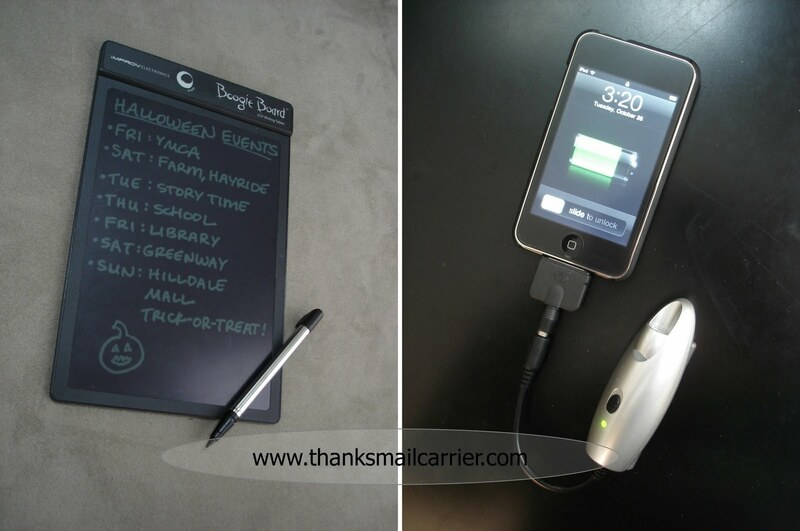 The size of half a sheet of paper, you can use the provided stylus as well as pretty much anything non-scratchy (like your finger or the back end of a pen) to write, draw or doodle until your heart is content. With just the double-touch of the button up at the top, the display flashes and disappears clean away... ready for more to-do lists, phone numbers, reminders, grocery store necessities and much, much more. 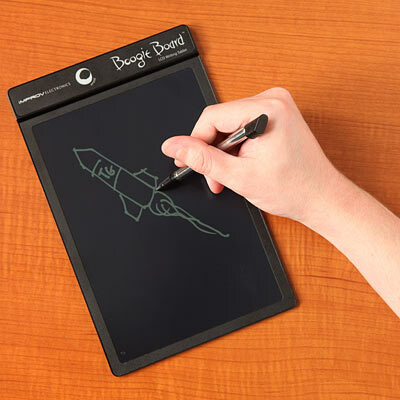 I'd love a way to hook the stylus directly onto the board when it's not in use, but other than that this high-tech gadget is so incredibly handy for adults and kids and helps save trees while being a a lot of fun! Speaking of handy, I couldn't be more excited about the geniusness of the Powermonkey Portable Charger. By charging it from an AC outlet (it holds a charge for up to a year! ), keep this innovative gadget stashed away for when pretty much any portable device you own needs power. All of those times I've pulled out my phone and it has been dead or I've wanted to play with my iPod on an airplane a little longer but couldn't? Never going to happen again! I was shocked at the number of connectors that came with the Powermonkey and that they cover just about every brand and type of device that I could think of. 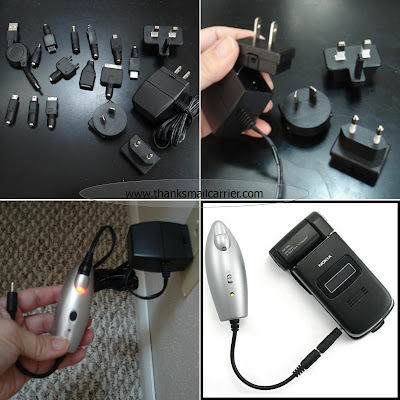 From phones to MP3 players to digital cameras to PDAs, by switching out the charger plug, this can be used in 150 countries worldwide for hours and hours of portable power just when you need it. This couldn't be easier to use and I'm so excited to have this with me when I travel as well as in the car for any emergency lack-of-charge situations that may arise - everyone who owns any sort of device needs one of these! It's the perfect gift! 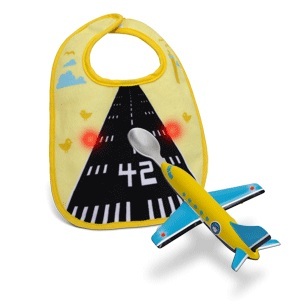 If it isn't clear yet, ThinkGeek is my new favorite shopping destination. With pages and pages of great gadgets and tools for adults, kids and geeks, narrowing down your wishlist is the most difficult thing... well, that and not spending hours on end laughing at the funny descriptions and writing throughout the site. One lucky person will win a $100 gift certificate to ThinkGeek! To enter to win: Visit ThinkGeek and tell me which of their great products you might purchase with this gift certificate. 1 Extra Entry (per method) if you follow ThinkGeek on Twitter, sign up for their newsletter and/or Like them on Facebook. 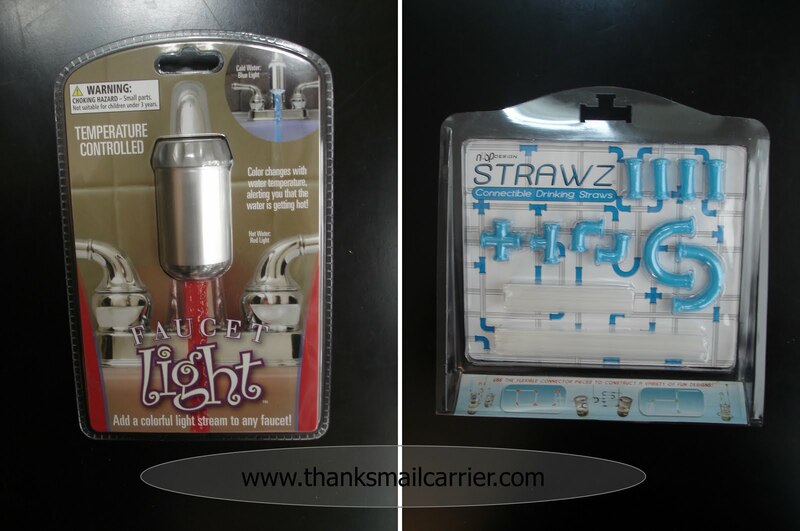 3 Extra Entries if you blog about this giveaway linking back to Thanks, Mail Carrier and ThinkGeek. A huge thank you to ThinkGeek for providing the above-mentioned amazing and awesome products for review as well as a $100 gift certificate for one lucky giveaway winner. The opinions shared are my own and honest and if you really need to see more, click here to see how I roll. Retro Duo NES/SNES Game System. kickin' it old school. I would DEFINITELY buy the Mini Donut Factory! I might get the Pi By Numbers t-shirt~! I love thinkgeek. I follow you on Twitter @BountyHunter338. This super cool dinosaur plant is so awesome.I want one and it's under 10 bucks!! Oh I would HAVE to get hubby the "Come To The Dark Side" apron! Star Trek Pizza cutter or Bazinga shirt! I follow your blog #1! I love so much stuff at Think Geek. Some of the kid items I would be interested in getting are the adorable onesies: I Void Warranties, Baby Tux (to match my Tux shirt) and I am Why We Don't Have Nice Things. I think I would get a Pet Star Wars Costume (yes, my husband is a geek!). Wow, they have a ton of neat things! I really like the led faucet light. I also like the gyroscopic toddler bowl and the laser star projector.